The gifts have all been wrapped and we are now down to the final days before Christmas. We are ready to hang the stockings and stuff them with goodies, but this year I want to skip the tiny toys and the too sweet treats in favor of better for you options. I am going to share a few of my favorite healthier stocking stuffer ideas with you today to help you make this a memorable Christmas morning filled with good stuff in your stockings! Opening all of those gifts can be a lot of work. This year I am going to keep the kids hydrated and happy with the goodness of Juicy Juice in their stockings. They can sip a kid sized drink to fuel their unwrapping frenzy on Christmas morning. Featuring fruit as the first ingredient, these snacks are rolling in fun and flavor. I love that they have vitamins and are gluten free. My kids love the experience of unrolling a snack as they go. Available in 3 flavors; Berry, Tropical Punch, and White Grape Strawberry, these are a great alternative to stuffing the stocking with candy! Loaded with vitamin c, these organic snacks are always a hit with the kids! Packed with natural flavors and all of the fun of a gummy, these are a fruit snack you can give in the stockings without the guilt of sugar loaded candy. Playing with all of the toys on Christmas is hard work. Adding a fun and fruity aquaball to the stockings gives the kids a fun drink to fuel their day. Made with natural flavors and featuring fun characters, this is a drink the kids will love. 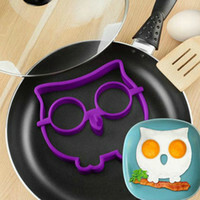 Drinking their water has never been as fun or tasty! It wouldn't be Christmas without cookies! But these are guilt free cookies! Each one is loaded with protein and nutrients for a decadent snacking experience. These are so tasty that even the kids who don't care about health benefits will want to gobble them up. Christmas isn't just about the kids. Adults want a stocking too! This protein powder makes a great stocking stuffer because it is so good for you!Packed with protein and made with only 3 ingredients, this is perfect for anyone health minded! Available in both 10.1 oz. and 13.5 oz. sizes these glass Juice Jars are great for gifting that one person you know who's always eating on the run. These jars feature an air-tight stainless steel lid, perfect for keeping your smoothies, workout juices, oatmeal and other snacks fresh while on-the-go. 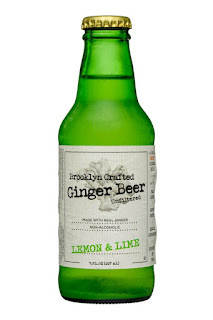 Cased in 7 fluid ounce bottles, Brooklyn Crafted's small but mighty ginger beers are the perfect size for Christmas stockings and great for enjoying on their own or incorporating into cocktails this holiday season. Made with 100% fresh ginger pieces you can actually SEE in each bottle, the craft ginger beers are available in four trendy flavors. I love this drink as a stocking stuffer because ginger is so soothing to an overindulged tummy, and we all know that has been known to happen around the holidays! With a delicate straw color and a golden apple flavor this is the ultimate stocking stuffer for a wine enthusiast. Fun to drink and perfectly aromatic, this would make anyone smile on Christmas morning as they open their stocking! Maybe if you are lucky, they will share it with you later in the day! These are one of my favorite stocking stuffer ideas for fitness enthusiasts. These are loaded with good things for boost of energy when needed! 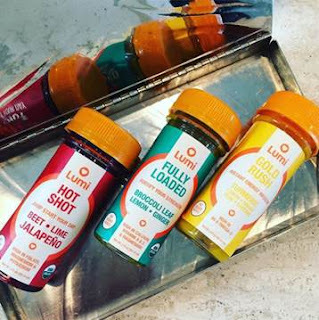 Among my favorites are the 6 pack of fully loaded cold processed nutrition shots from Lumi. Made with broccoli leaf, lemon, and ginger this shot is aptly named. It is fully loaded with calcium & vitamins A & C to keep you on your toes for whatever life throws at you. 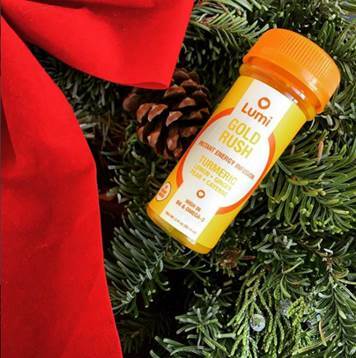 Lumi also offers cold pressed juice with an impressive 50 day shelf life. These are perfect for stuffing a stocking with nutrition. I am a big fan of the 10 oz Wahoo Orange and 10 oz Harvest Apple varieties for keeping my family healthy and hydrated. These are perfect for stockings and gift basket offerings at the holidays to help combat the blahs from excess celebrating, or to fuel the body with good things during cold and flu season! If you have a favorite stocking stuffer idea for kids or adults please leave a comment to inspire others to avoid tiny toys and too much candy this year!